The holidays are here, don't panic. With a little care and cabernet, we will get through this together. Get out your calendars because there are several events in Tampa to knock out your shopping in one day. 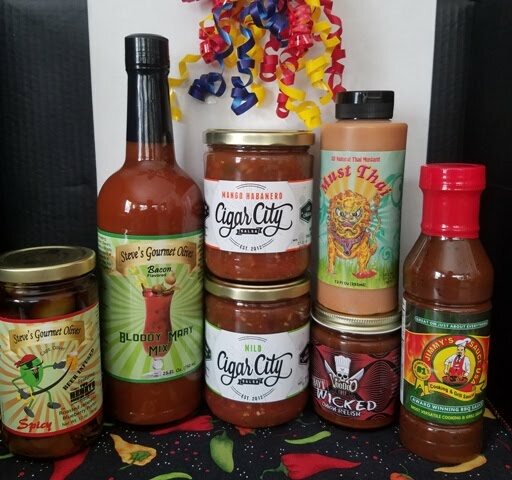 And with Cigar City Salsa, Intensity Academy & Voodoo Chef joining Steve's Gourmet Olives in the Moonbay Gourmet sandbox, there have never been so many choices. Of course, if you prefer to shop at home in your pajamas, just click here. Cheers! We are back at Citrus Park Mall this year at the kiosk near Starbucks. Bring your Naughty & Nice List and enter at Red Robin. Tues - Thurs, Dec 20 - 22nd, 10 am - 10 pm. So your brother-in-law puts hot sauce on EVERYTHING? He likes to throw some burgers & dogs on the grill with a cold beer on the weekend? And you're wondering what to give him this year? We've got just the gift for him! 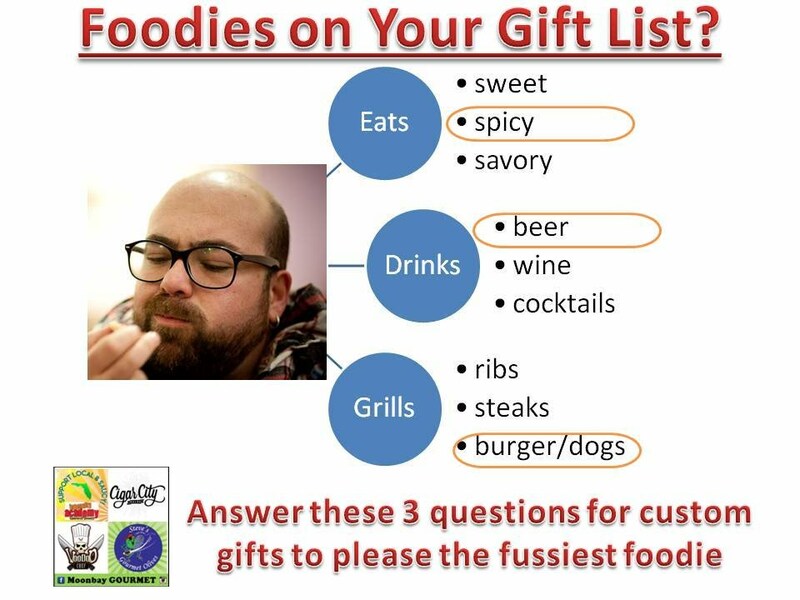 How about Intensity Academy Must Thai Mustard, Cigar City Salsa Mango Habanero salsa, Voodoo Chef Hot Wicked Onion Relish and Steve's Gourmet Olives beer-infused olives? See attachment for full holiday brochure. Feel free to contact me with any questions or requests. Relax, enjoy and make it a December to remember. We appreciate your friendship & support over the past 4 years. We are truly blessed, the rest will take care of itself. Happy holidays and looking forward to seeing you in 2017.